Provide comfort for the family of Mary Yelverton with a meaningful gesture of sympathy. Mary Estella Randall Bush Yelverton, 83, of Palatka, passed away on Sunday, January 27, 2019 at Putnam Community Medical Center following an extended illness. A native of Derry Township, Pennsylvania, she resided in Putnam County since 1957 coming from Derry. Mary was a 1953 graduate of Derry Township High School and a 1956 graduate of Latrobe Hospital School of Nursing where she received her nursing degree. Mary began her nursing career at Latrobe Hospital from 1956-57 and then upon moving to Palatka she worked with a local physician. Mary then worked at Putnam Memorial Hospital which later became Putnam Community Medical Center. She was a Baptist and had been member of Lemon Heights Baptist Church and later attended the First Baptist Church in Palatka. In her leisure time, Mary loved traveling, shopping, going to the beach and spending time with her family. She was preceded in death by her husband, Ward Yelverton, her parents, Donald B. Randall and Helen Nichol Randall, a daughter, Wendy Bush, a step-son, Robert Bush, a brother, Donald B. Randall, Jr. and sister-in-law Rose Randall and the father of her children, George C. Bush, Jr.
Mary is survived by her children, Beth Bush Lloyd (Josh) of Palatka, Theta Bates (Yelverton) of Jefferson, OH, Dionne Yelverton of Charlotte, NC, Debra Johnson (Steve) of Mount Dora and Kimma Jarrell (Clay) of Lake Mary, 2 grandchildren, Josh Lloyd (Amanda) and Dylan Lloyd, a great-grandchild, Carson Lloyd, a nephew, Mark Randall (Deanna) of Derry, PA and numerous other grand and great-grandchildren and cousins. Services celebrating Mary’s life will be at 11:00 A.M. Friday, February 1, 2019 at Johnson-Overturf Chapel in Palatka with C.L. Overturf, Jr. officiating. Burial will follow at Palatka Memorial Gardens. The family will receive friends Friday from 10:00 A.M. until the time of services at 11:00 A.M. Flowers are gratefully accepted or memorial donations may be sent to Alzheimer’s Treatment & Research Center, Ramsey Foundation, 640 Jackson St., St. Paul, MN 55101-9021. Memories and condolences may be expressed to the family at Mary’s Book of Memories Page at www.johnsonoverturffunerals.com. 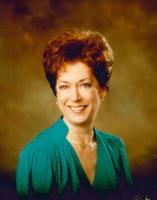 To send flowers in memory of Mary B. Yelverton, please visit our Heartfelt Sympathies Store. Provide comfort for the family of Mary B. Yelverton by sending flowers. R.I.P. PRAYERS TO FAMILY AND FRIENDS. LOVED WORKING WITH HER.